My thought is me: that is why I cannot stop thinking. I exist because I think I cannot keep from thinking. Jean-Paul Sartre, Nausea (New York, NY: New Directions Publishing, 1938, 1969). The “SELFIE” is publicized privacy. It has an ick-factor. It is the ultimate in contemporary TMI. And yet the selfie, at once new and as old as the portrait itself, seems to be invasive and here to stay. 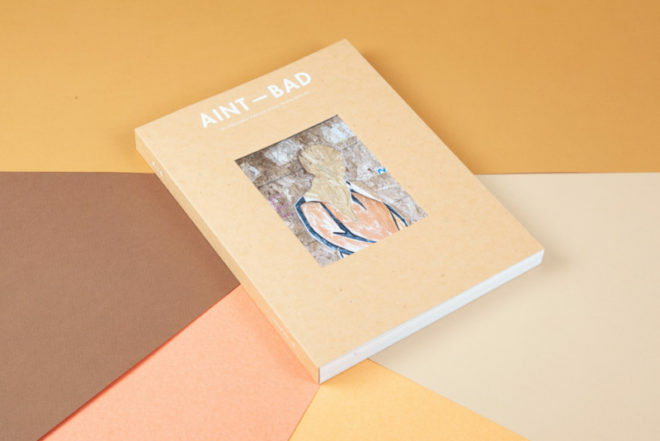 The Editors of Aint-Bad Magazine, a photography publication located in Savannah, GA with international photographer and writer participation, have chosen to rise to the occasion (or sink to the occasion?) to tackle this elephant in the room on our own terms. Maybe we just need to get it out of our system. Perhaps dedicating an entire issue to the selfie in 2015 is overdue since “selfie” was the word of the year in 2013. But maybe because it has become the topic of academic courses and museum exhibitions, or because we know President Obama to have recently taken a selfie, it has begun to warrant more attention rather than being dismissed as a trend. Does its ubiquity put the selfie in danger of not being seen or understood as cultural currency? Some surprising things happen when you put out a bold, seemingly dangerous, call for selfie submissions. We expected the wannabe Kim Kardashians and got them, but we also received countless thoughtful, playful, conceptual, carefully composed, and emotional acts of self-representation from artists of all ages, genders, and ethnicities, revealing more about our cultural landscape than we had imagined. It seems that in addition to the “me” assumption that the selfie reflects and promotes, it engages changing contemporary ideas about: age, desire, illness, performativity, body image, privacy in relation to notions of a virtual public, the humor and the politics of everyday banality and domesticity, and the dynamics of vulnerability, to list only a few of the topics that surfaced as a response to our call for submissions. Other questions that this topic raises include: what is the selfie in relation to self-portraiture and its history? Is the selfie simply another bump along the road of photo-technology springing from the Kodak Box Brownie c. 1900 to the Polaroid in the 1970s to the smartphone in the 2000s? The selfie has a potentially long history, if defined beyond the digital device. A New York Times article places the selfie in the lineage of Self Portrait in a Convex Mirror (c. 1524) by the late Renaissance painter Parmagianino. Other writers and historians, such as Jordan Rockford in this issue of A-B equate the first selfie with the first casual, experimental self-portrait photograph by Robert Cornelius in 1839. Or perhaps we could connect it to the more performative “self-portrait as a dead man,” also taken in 1839 by French photographer Hippolyte Bayard. Most often the selfie is placed in light of visual artists such as Cindy Sherman, however, it is important to note that Sherman, while using her own body and face as canvas, is never photographing the self per se, but photographs the other as typological proxy, borrowing her own body and face as vehicles for the act of photographic performance. This distance, perhaps longer than a selfie stick, raises more questions than answers. Are there categorical differences between selfies ? Does a label achieve anything? 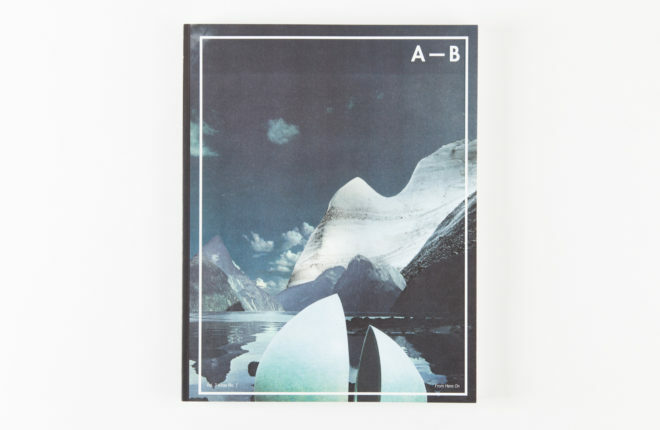 Is there an expressive difference between how one considers the social media selfie and the selfie in a forum connected to an abstract notion of photography as art? Is there a street selfie, a conceptual selfie? Are there degrees of performance within the selfie, or are all selfies created equal? And finally – do we ask too much of our selfies or not enough? 1. Bunny Yeager images courtesy of the Archive and Gavlak Gallery, Los Angeles.